G.M. : Inside my book is a man and an invisible ship and a laser sword. I put how many of the cubes you need. For the man you need 5 blues, 1 purple, 1 black, and 2 browns. I want someone to build the invisible ship and then play with it. I did one for the laser sword and then W.W. looked at my instructions and made it. Earlier, I wrote about embracing the children’s interests by creating a Snap Cube Workshop with the ever-popular snap cubes (You can read about it here: https://thecuriouskindergarten.wordpress.com/2014/03/10/snap-cube-workshop/). 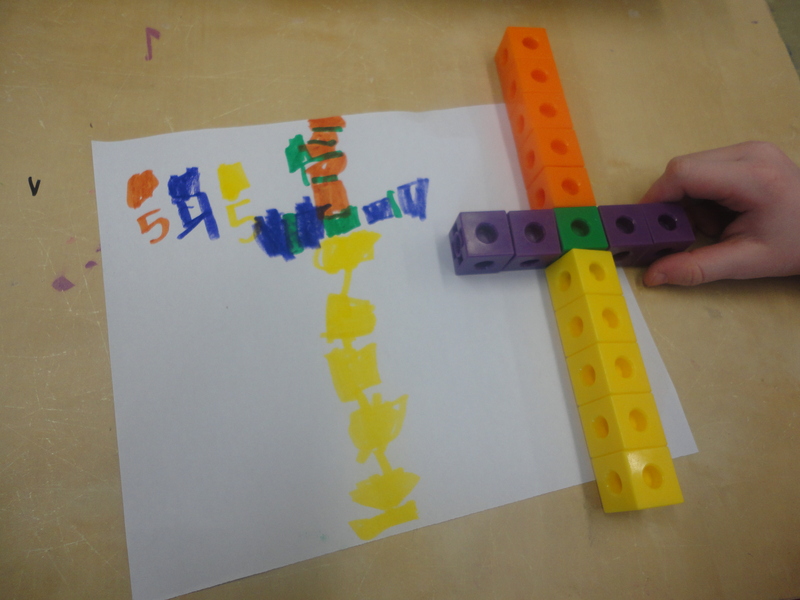 The children in my class view snap cubes like Lego – something they can use to build whatever kind of creations they want. In looking for ways to extend the learning at this centre, I ended up having a conversation with some of my students about the similarities and differences between Lego and Snap Cubes. One of my students pointed out that his Lego sets come with instruction or inspiration booklets to help him make the structures in the kit…and Voila! A new idea was born! The children were immediately interested in creating instruction booklets for their creations, with a view to helping their classmates re-create their structures. 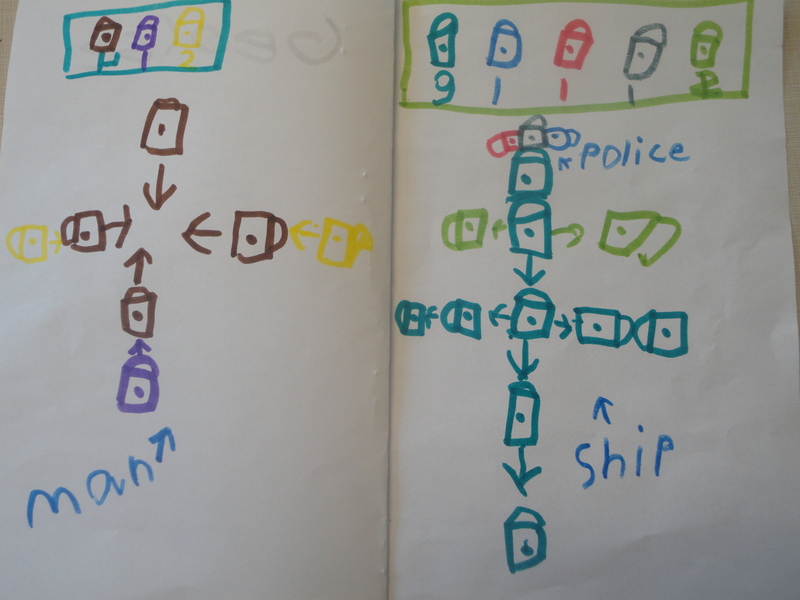 “How did you make it?” is the most popular question the children ask each other during reflection time, so it seemed logical for the students to not only tell each other, but show each other what to do in a diagram. Beyond adding some blank paper, markers, and a stapler to the Snap Cube Workshop, the children required very little guidance with how to create their instruction manuals since most of them were well-versed with Lego booklets. 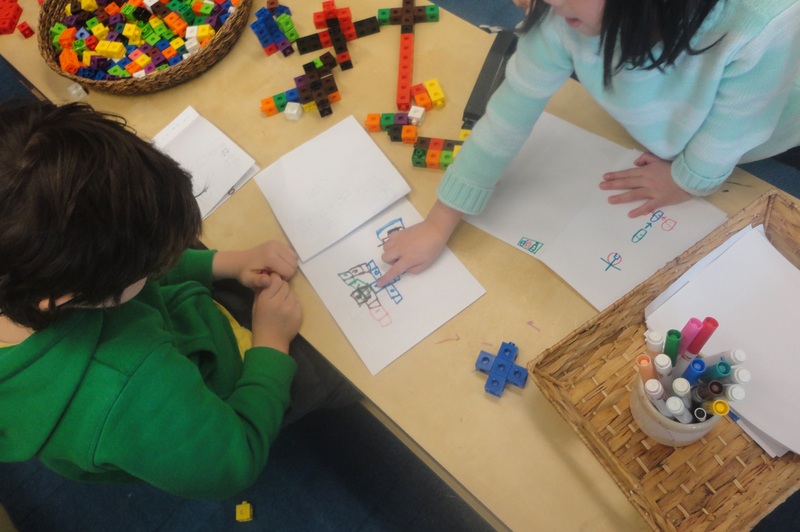 The children who did not have experience with Lego booklets simply learned from their more experienced peers and were soon well on their way to their own Snap Cube construction kits. 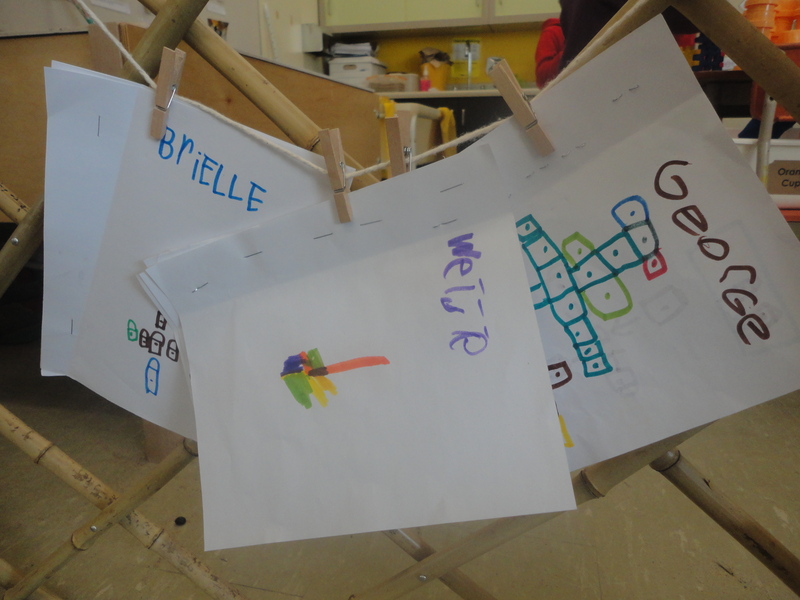 We provided the children with a place to store their manuals (clipped to a string hung at the centre) and many children came by throughout the week to add to their booklets or borrow booklets to try to recreate the structures within. 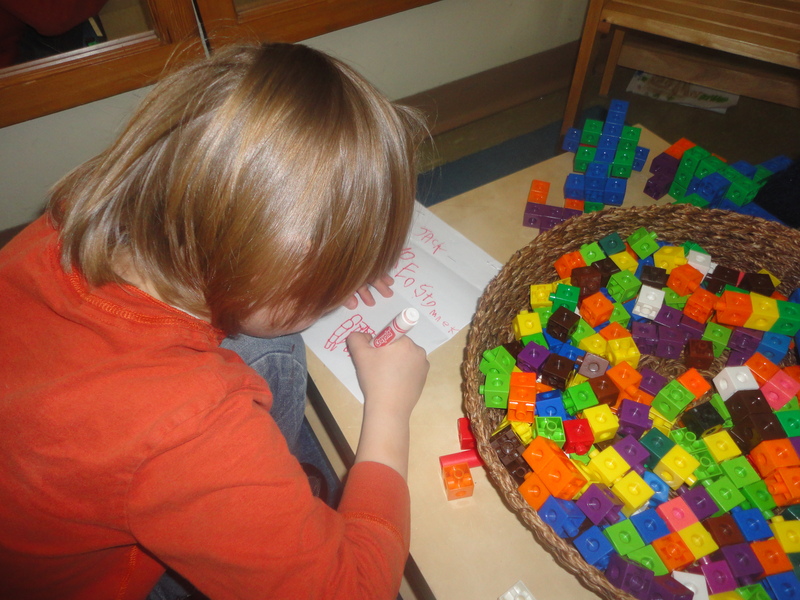 This entry was posted in Mathematics, Science and Technology, Writing in Kindergarten and tagged Alexis McDonell, emergent curriculum, hands-on math, inspiring young authors kindergarten, Lego inquiry kindergarten, literacy activities kindergarten, snap cube workshop, snap cubes, Writing in Kindergarten by msmcdonell. Bookmark the permalink.